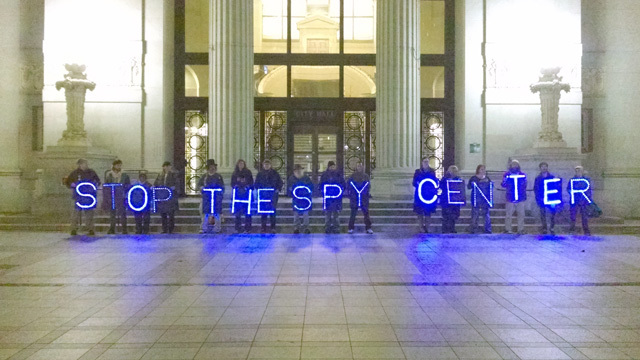 At about 1 A.M. on Wednesday, Mayor Jean Quan made the tie-breaking vote at the Oakland City Council meeting to scale back the reach of the Domain Awareness Center, a planned 24-hour surveillance hub that has stirred protests and privacy concerns among residents. The vote limits surveillance to the Port of Oakland, city street cameras that were integrated into the Center's system will be disconnected, and gunshot microphones in the city will be removed. The Domain Awareness Center had been expected to cost over $10 million, mostly paid for with federal homeland security funds.